Television was introduced in Italy in the year 1939, when the first experimental broadcasts started. There are 2 major television organizations responsible for most viewing in the country – state owned RAI (Radiotelevisione italiana) with 3 generalist channels, two semi generalist channels as well as 9 thematic channels. It is funded by a license fee mandatory and taken on a yearly basis. The second television organization is Mediaset which owns generalist stations including Italia 1, Rete 4, Canale 5 and 8 thematic channels along with a pay TV service featuring documentaries, tv series, children and sports channel. It is a commercial network and holds more than 50% of the Spanish broadcasting firm Mediaset España Comunicación. At present, La7 is regarded as the 3rd major network in Italy. 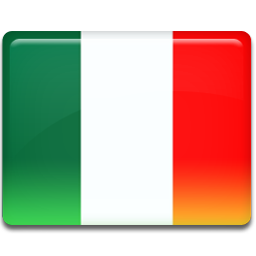 The live TV streaming TV is also available in Italy. Sky Uno (known as Sky One in English) is an entertainment television channel in Italy. It is based on the defunct reality television channel SKY Vivo, both broadcasted and owned by Sky Italia. Sky TG24 a news channel operating in the country, owned by Sky Italia, part of 21st Century Fox. It was launched on July 31st 2003 and offers news round the clock with updates on every half hour and hour.